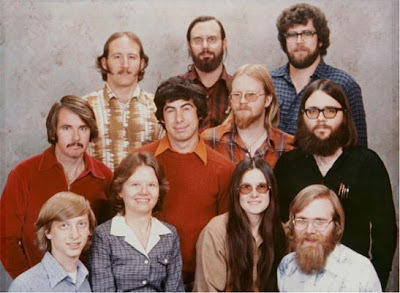 Share Good Stuffs: The Microsoft Gang of 1978 - Where Are They Now? 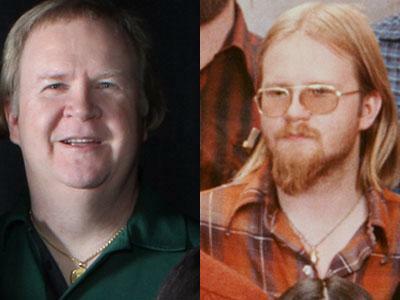 The Microsoft Gang of 1978 - Where Are They Now? This photo of Microsoft's Iconic 1978 Company, is one of the most iconic photos in American business. It's ragtag group of bearded weirdos assembled for a family portrait in Albuquerque. It was taken just before the then startup left Albuquerque for Seattle. Since Microsoft couldn't find anyone willing to move to New Mexico. Early employee Bob Greenberg, pictured in the middle, won the free portrait after calling in a radio show and guessing the name of an assassinated president. The gang reluctantly gathered together in some of their finest attire, and American business legend was made. We all know what happened with the two guys in the bottom left and bottom right corners - Bill Gates, and Paul Allen. But what about the rest? 1. Andrea Lewis - became a fiction writer and freelance journalist. Andrea Lewis was the only person at the company that was from Albuquerque. She was a technical writer for Microsoft, which meant she wrote documents explaining Microsoft's software. 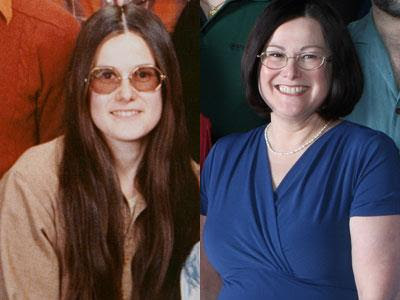 She left Microsoft in 1983, eventually becoming a freelance journalist and fiction writer. Thanks in part to her Microsoft options, her net worth was estimated at $2 million by the AP. 2. Maria Wood - sued Microsoft just 2 years later. Maria Wood was a book keeper for Microsoft, and married to another one of the early Microsofties in the picture. She left the company just two years later, suing it for sexual discrimination. Microsoft settled the case. After that, it doesn't look like she did much else. 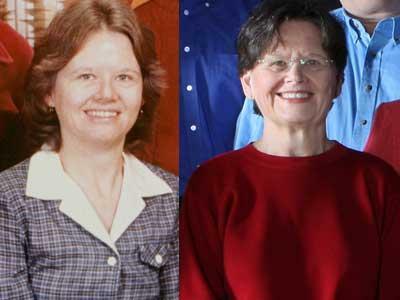 She raised her children and became a volunteer. 3. Paul Allen - has spent his billions on sports teams, start ups, and much more. 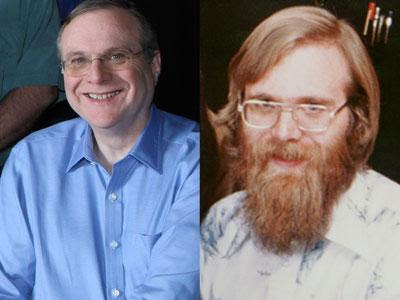 After Bill Gates, Paul Allen is the most famous guy in the group. 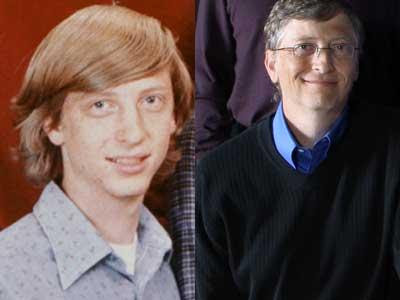 Allen, the other Microsoft co-founder, is the 37th richest person in the world according to Forbes. He's the owner of the Portland Trailblazers, the Seattle Seahawks, one of the biggest yachts in the world, and much more. 4. Bob O'Rear - went onto be a cattle rancher. 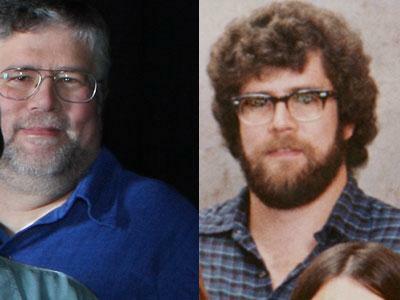 Bob O'Rear was one of the oldest employees at Microsoft. He was at NASA in Mission Control when we landed on the moon. 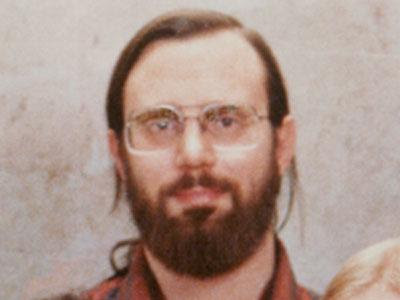 At Microsoft he was a chief mathematician, and is credited with reworking code in DOS, and getting it onto IBM PCs. 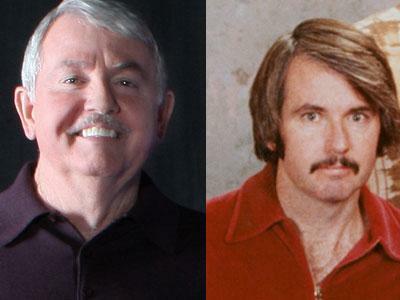 He left the company in 1983, moved back to his home state of Texas, and did some cattle ranching. His worth is estimated at $100 million, and he sits on the board of a few local businesses. 5. Bob Greenberg - left Microsoft, then worked on the Cabbage Patch Kids. Bob Greenberg was the guy that won a radio call-in contest to get the photo. 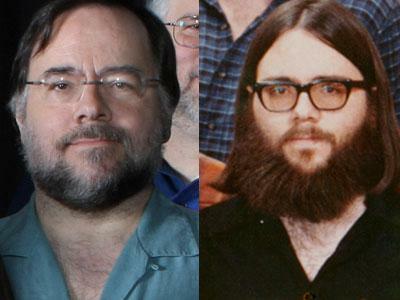 He left Microsoft in 1981, after helping the company develop a new version of BASIC. When he left he went on to help his family's company, Coleco, develop the Cabbage Patch Kid dolls, which became a huge hit. More recently, he's said to have worked on golf course software. 6. Marc McDonald - left Microsoft because it was getting big, but ended up back at the company, anyway. Marc McDonald was the first salaried employee, and when he left in 1984, it was because he didn't like how big the company was getting. After leaving Microsoft he went to another Paul Allen company, Asymetrix. He then went to Seattle design company Design Intelligence, which was acquired by Microsoft in 2000. So, he ended up back at Microsoft! According to the AP, he has said he is worth less than $1 million. 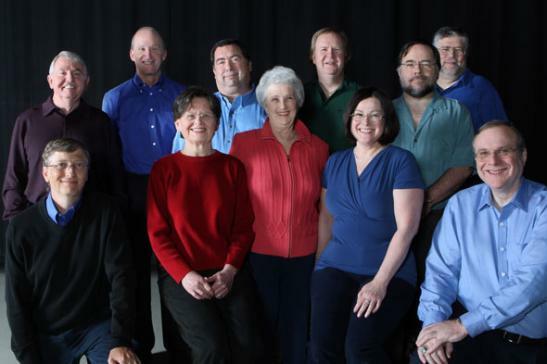 Gordon Letwin was with the company until 1993, the second longest run of all the employees pictured (Gates is first). He was a programmer at Microsoft, and quit when he wanted a break from the grind of the company. He has a ranch in Arizona, and has donated money to some environmental causes. His worth is estimated at $20 million or so. 8. Steve Wood - went on to found Wireless Services Corp.
Steve Wood is the husband of Maria Wood, who eventually left Microsoft under bad circumstances. 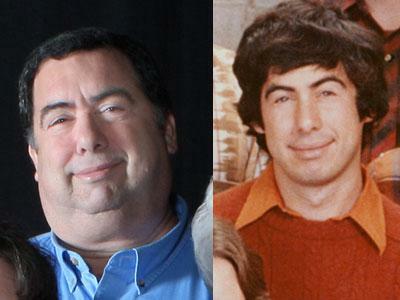 Steve left in 1980, but worked with Paul Allen on a few companies. He founded Wireless Services Corp., a mobile messaging company, in 1996. It's been renamed SinglePoint, and he's now the chairman. He and his wife's net worth is pegged at $15 million now. 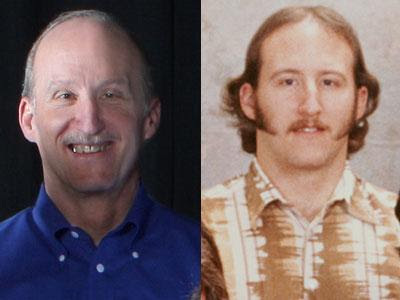 Bob Wallace seems like he was one of the most far out early Microsoft employees. He spent time and money researching psychedelic drugs after leaving the company. He also founded a software company called Quicksoft. He died in 2002 from pneumonia.